Deferred compensation is an arrangement wherein a portion of your income would be kept and paid on a later date instead of having it all at once. This helps you continuously save money for your retirement and other needs. Participating in a Deferred Compensation Plan can aid in making your retirement dreams possible. 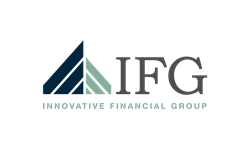 Innovative Financial Group has the experience to find the right plan for you and your company. With subject matter experts, ensuring your investment can be an easy and rewarding process which will provide peace of mind and confidence. Call us today for a complimentary conversation regarding your concerns and see how we can be of service. We are licensed to sell Insurance Products in the following states: Alabama, Florida, Georgia, Nevada, New Jersey, North Carolina, New York, South Carolina, Nevada. We are registered to sell Securities in the following states: Alabama, Florida, Georgia, Nevada, New Jersey, North Carolina, Tennessee, Kentucky, South Carolina, Texas. Securities and Investment Advisory Services offered through Royal Alliance Associates, Inc., member FINRA/SIPC. Royal Alliance Associates, Inc. is separately owned, and other entities and/or marketing names, products or services referenced here are independent of Royal Alliance Associates, Inc.